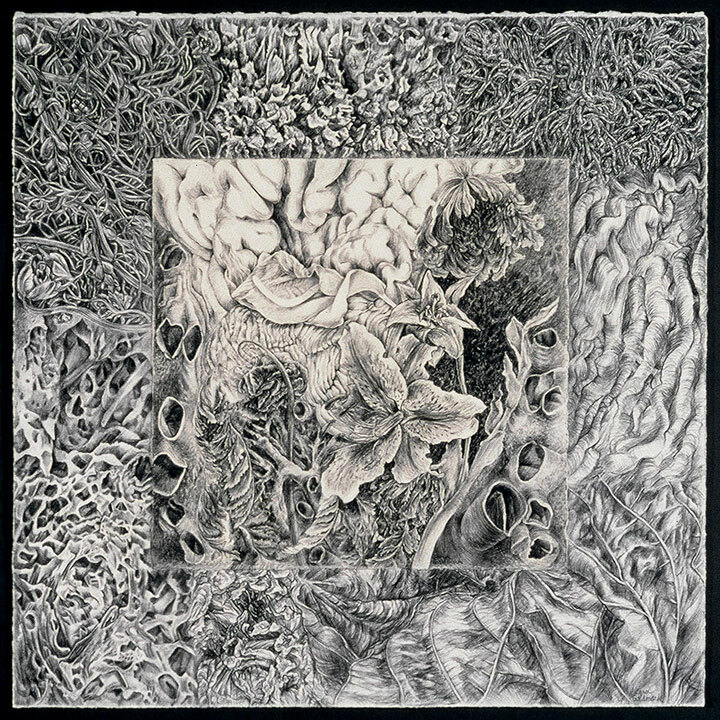 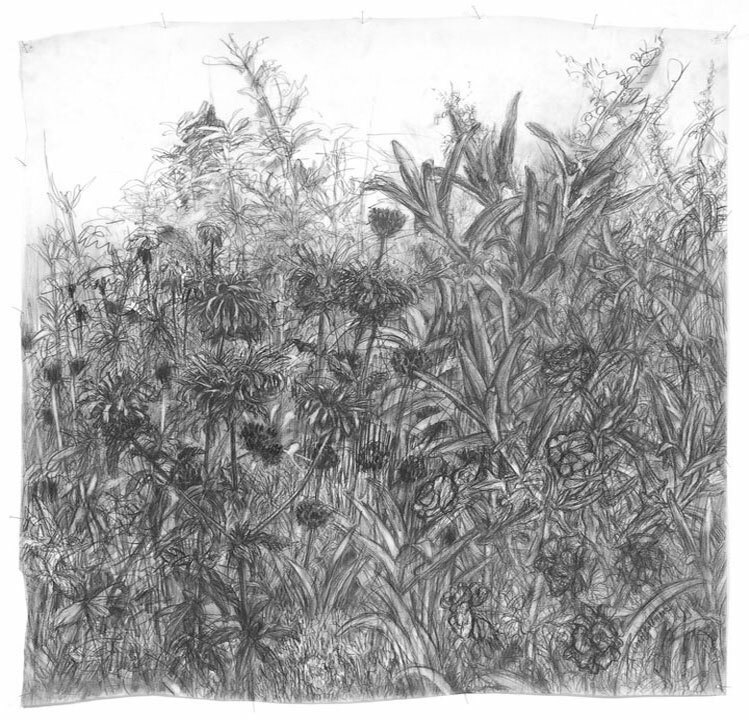 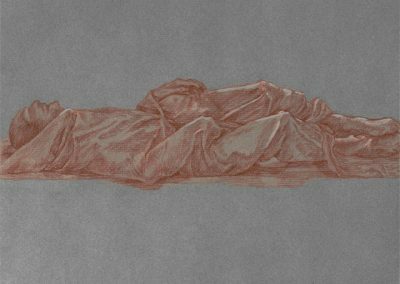 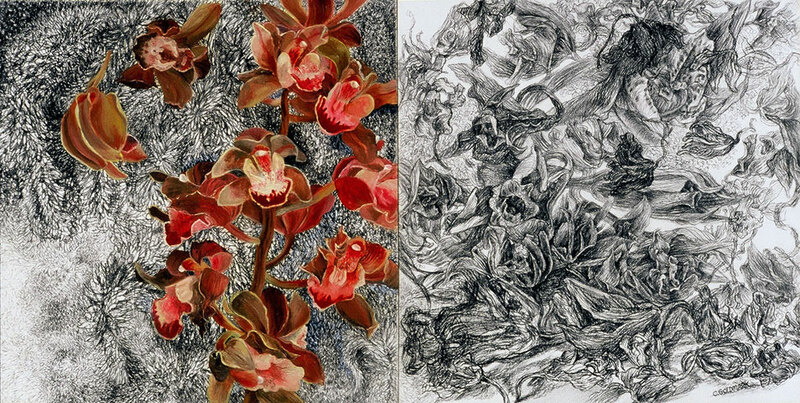 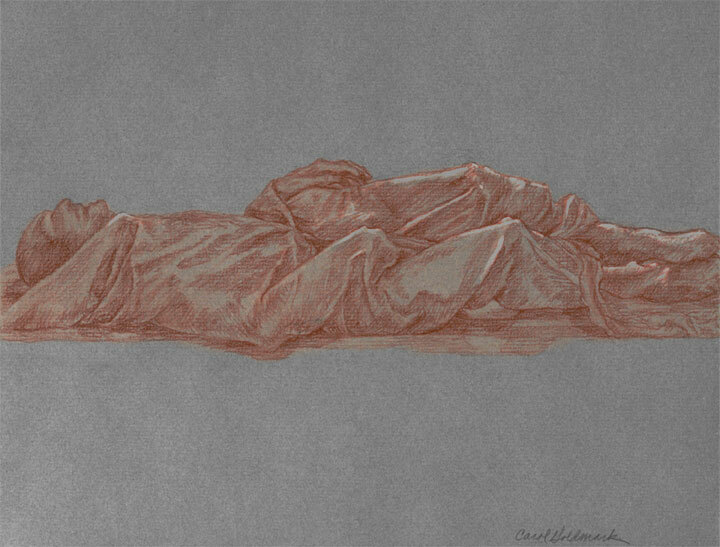 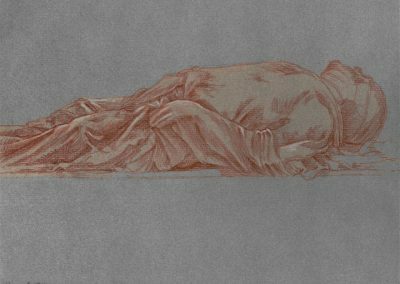 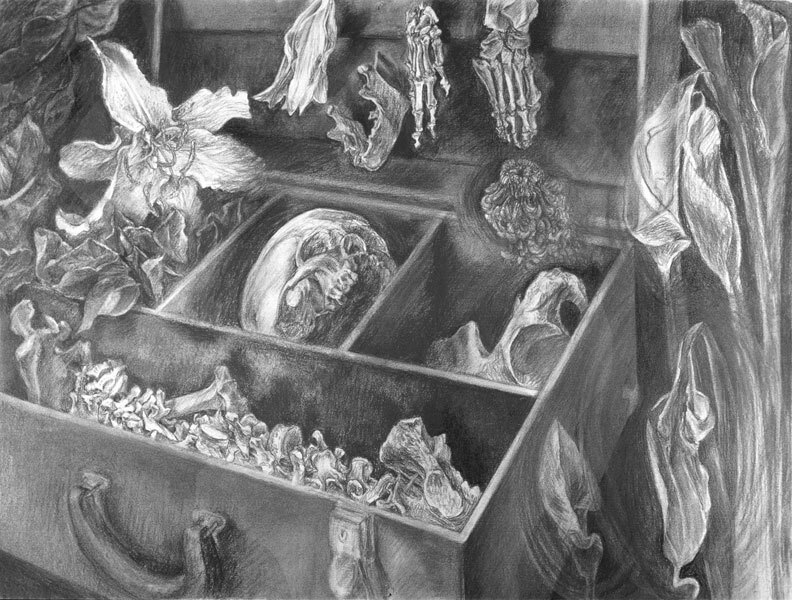 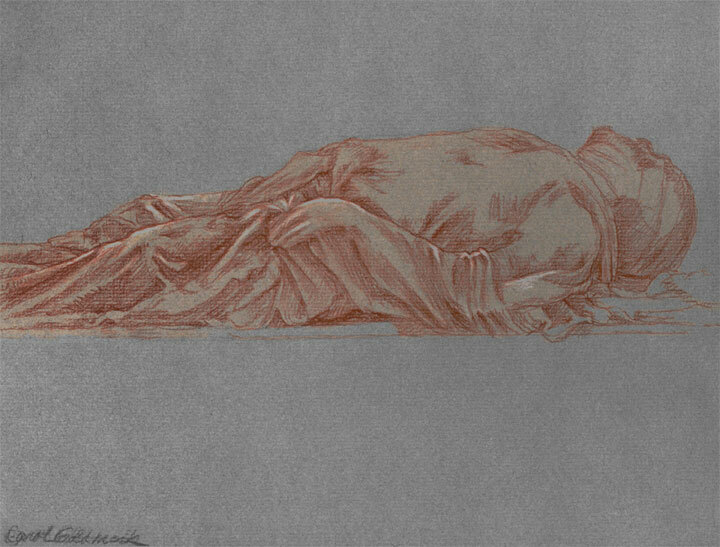 At last, an exhibit focusing our attention on Carol Goldmark’s large graphite and charcoal on vellum drawings! 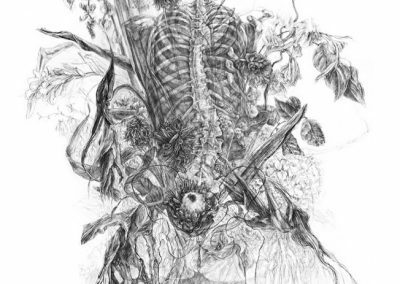 It’s about time we were encouraged to pull our eyes away from the seductive color of her oil on canvas paintings of fading floral bouquets and human bones. 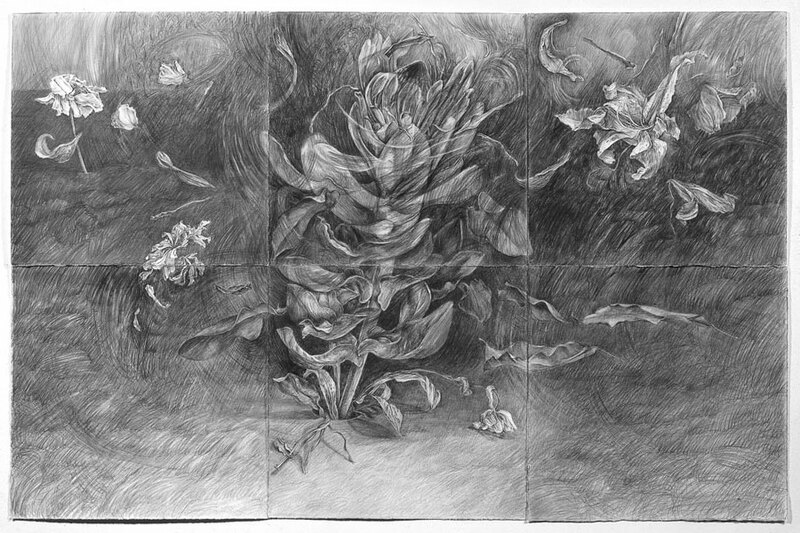 Those images fairly bubble with tightly compressed masses of cut flowers teetering on the edge of mortality. 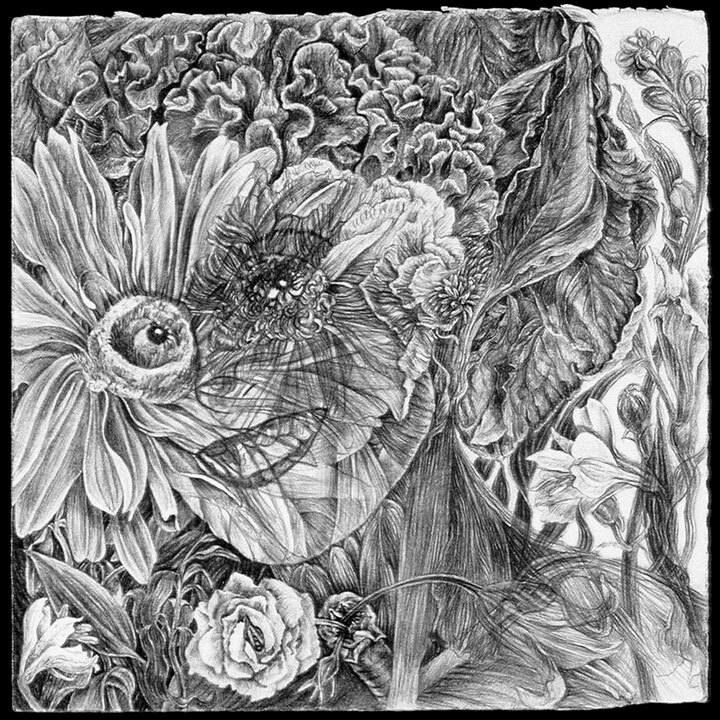 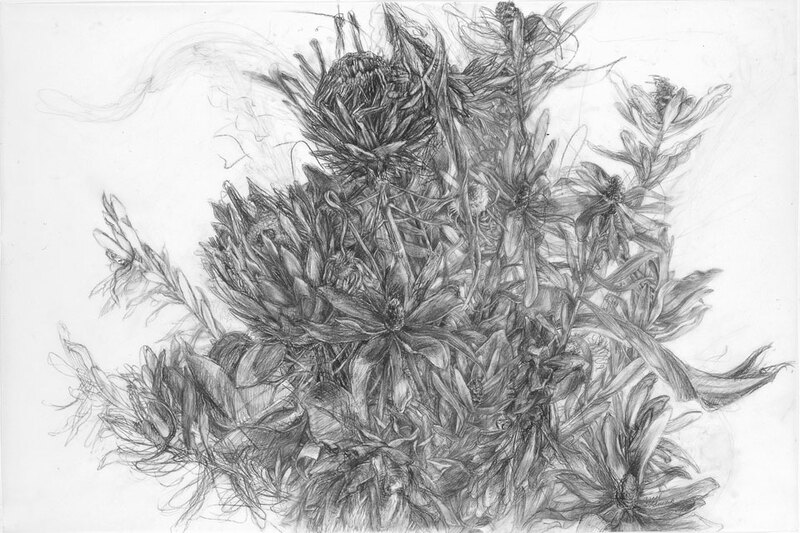 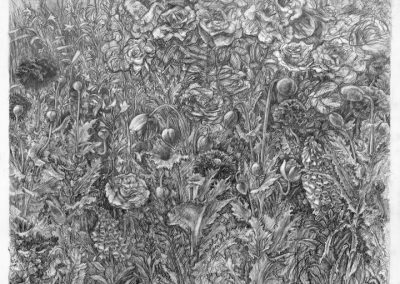 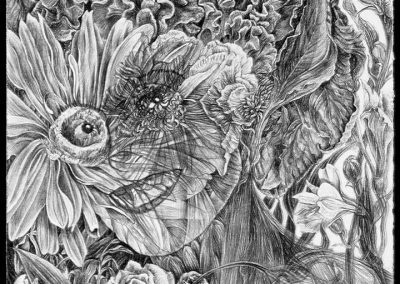 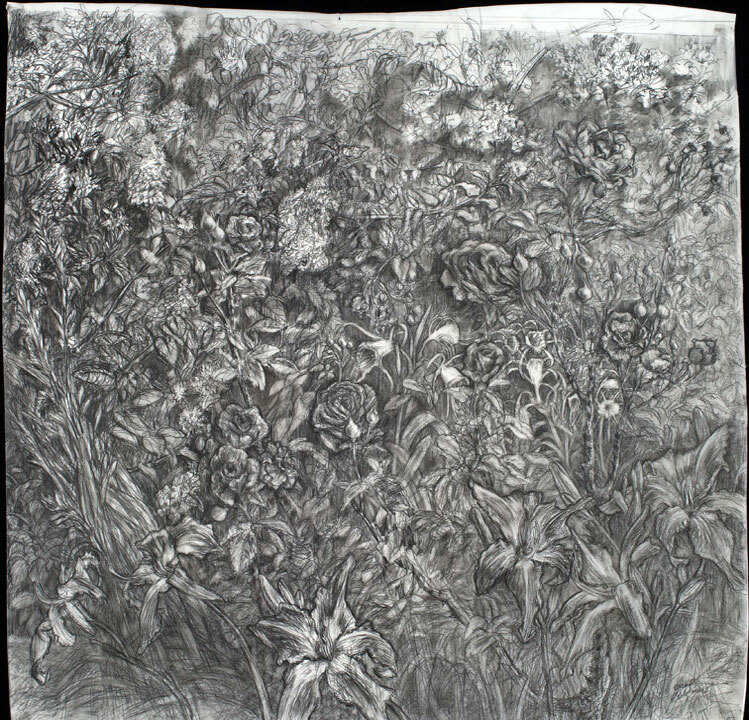 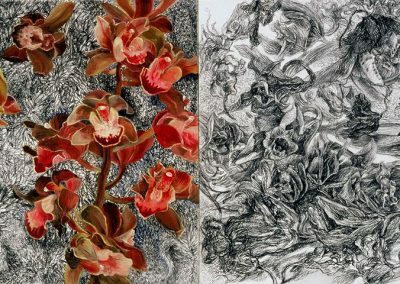 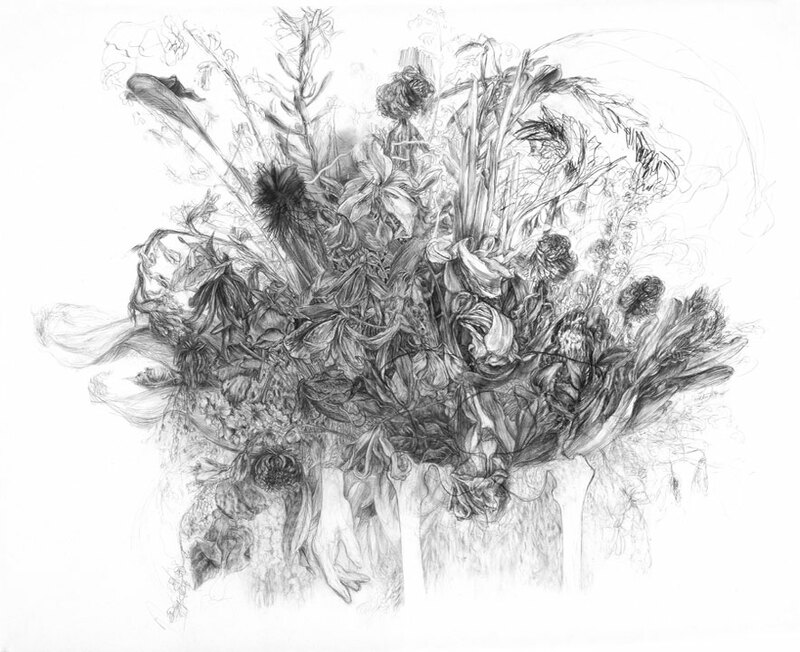 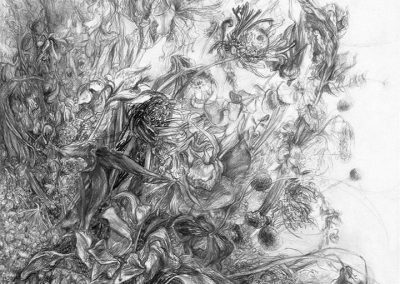 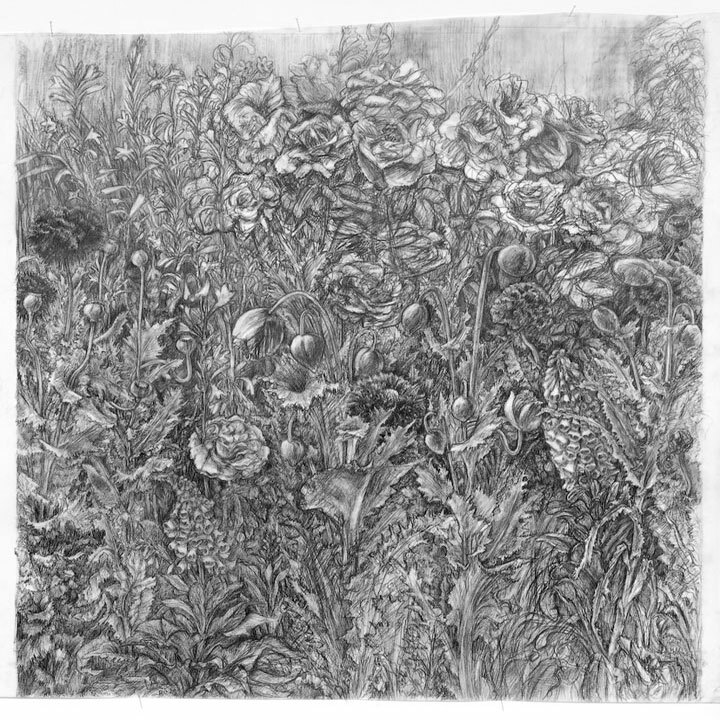 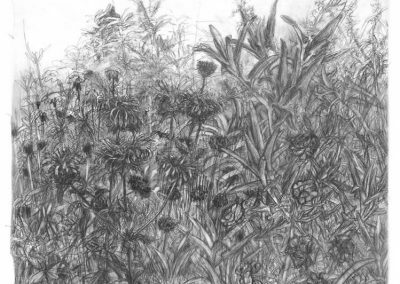 But there is a special tactile delight and visceral energy to her large black and white drawings of similar floral subjects. 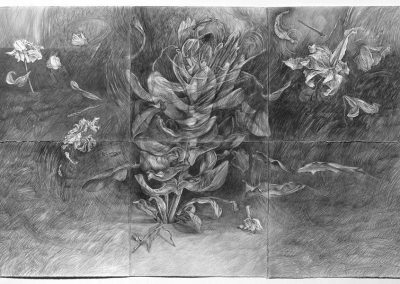 Goldmark’s flowers are metaphors for vibrant life poised delicately on the precipice of impeding deterioration and death. 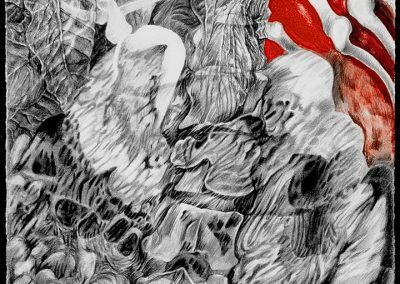 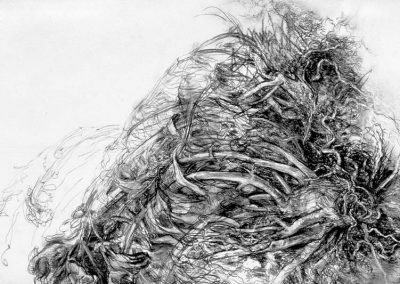 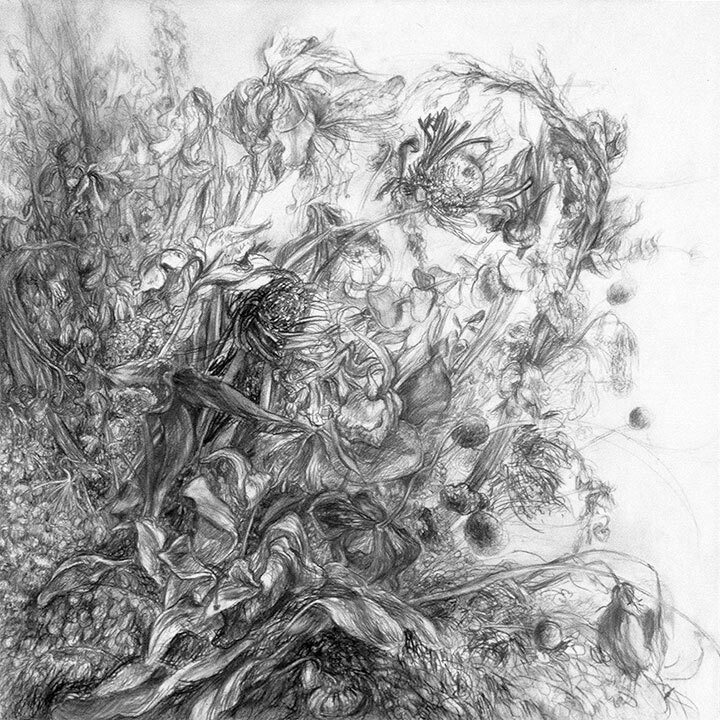 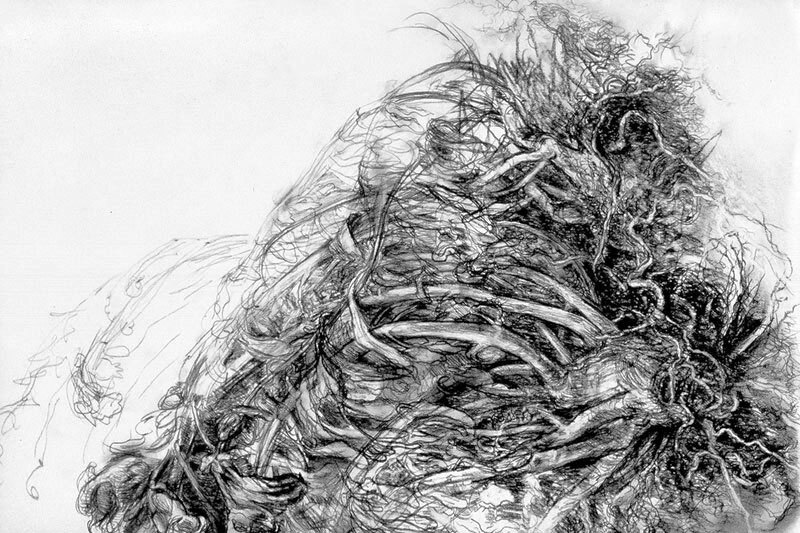 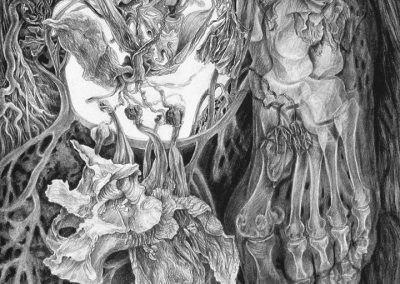 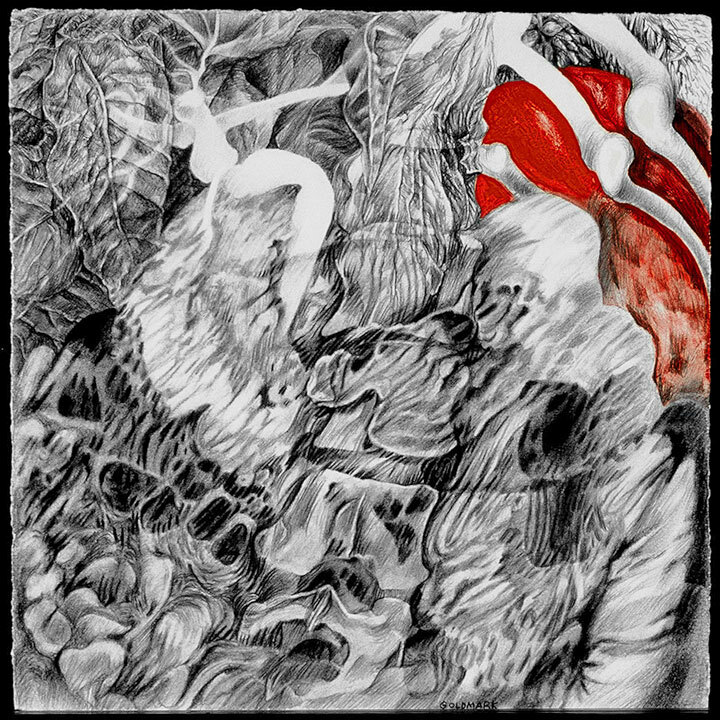 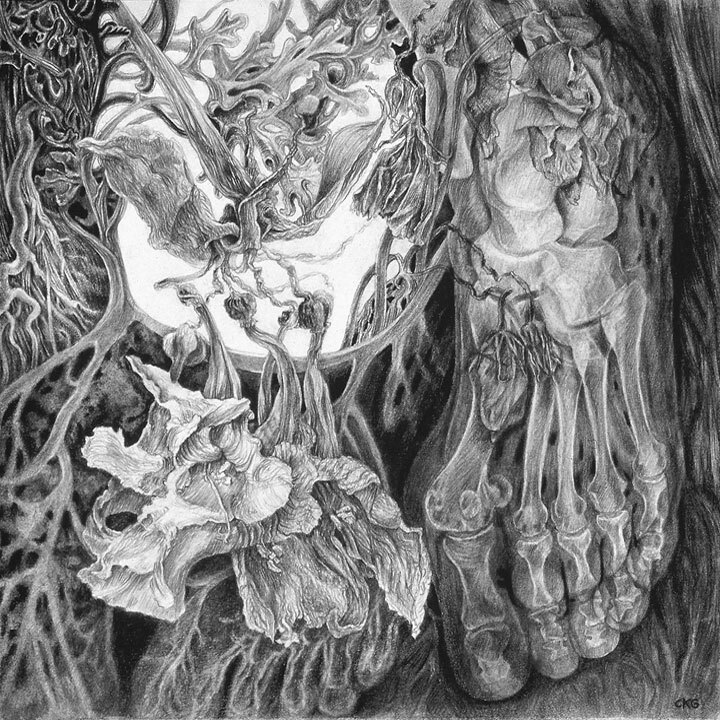 Her line-dense drawings, however, are the bare dancing bones of that metaphor. 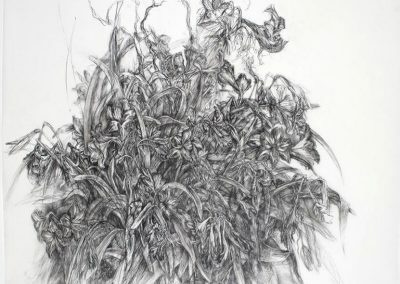 Stripped of her painting’s plumage of lush color they are reduced to their basic essence: masses of tangled, gestural line. 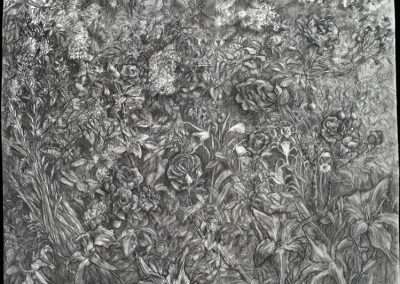 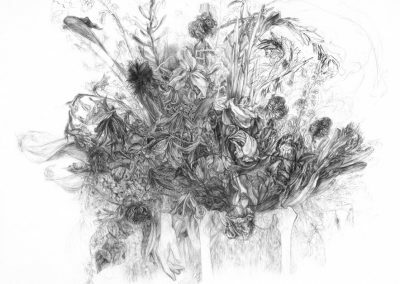 In this reductive form her black and white bouquets gather an almost primordial energy from the artist’s hand. 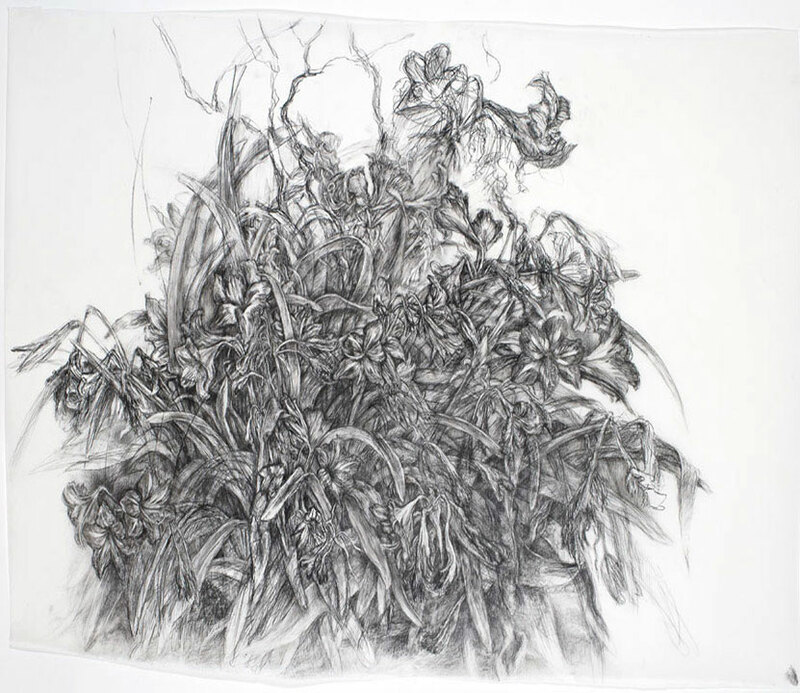 Like raw abstract jungles her loose, swirling spidery lines congeal into leaf, stem and flower, but then quickly dissolve back into dynamic mats of mark and line. 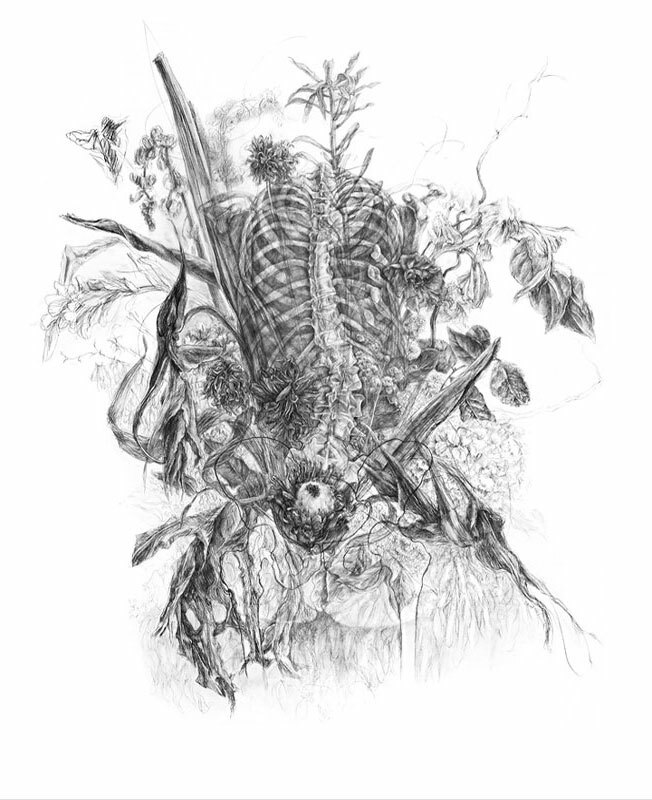 Here and there a fragment of human spine or pelvic joint appears, fusing human anatomy with botany in cycles of bloom and fade. 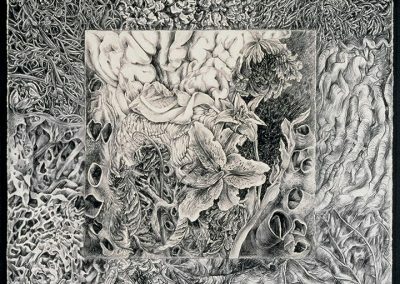 It’s a connection to translucent living flesh and petal that is further advanced by the milky surface of the thick acrylic vellum. 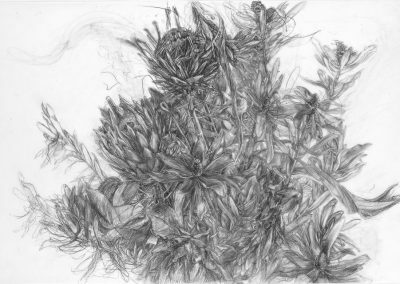 But it is the driving force of the moving line that charges the whole (SAC Art Gallery at the Santora Building, Orange County).